Dr. Yu is the Residency Program Director and a teaching faculty member of the Stanford Health Care - O’Connor Hospital Family Medicine Residency Program. 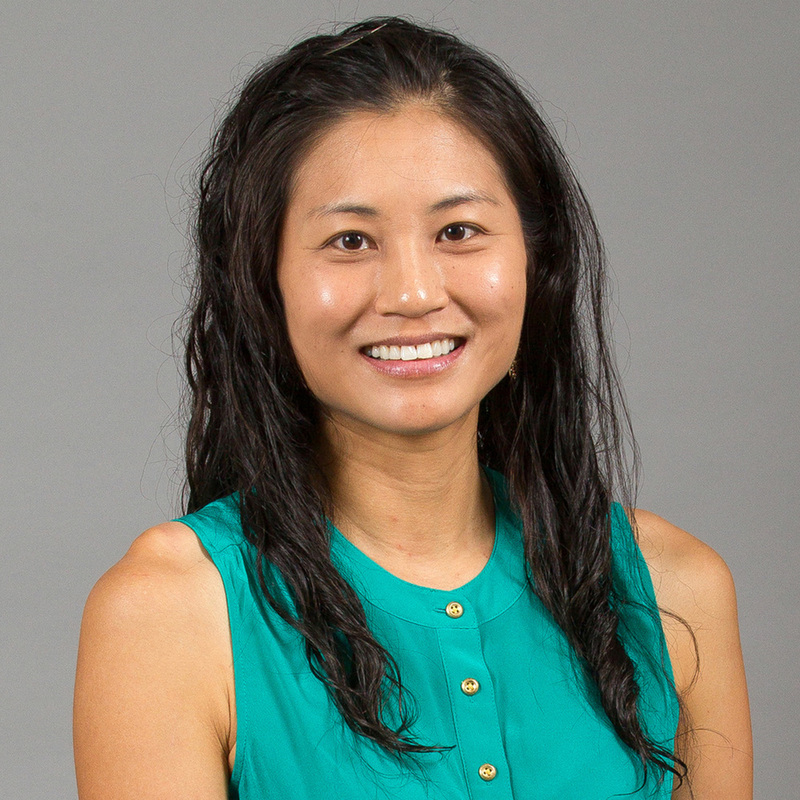 Dr. Yu is passionate about primary care education and enjoys her teaching responsibilities with medical students and family medicine residents. She is board-certified by the American Board of Family Medicine and has a special interest in women's health, including obstetrics, diabetes care, and quality improvement. She leads the diabetes group visits in the Family Medicine Center and was one of the founding members of the OSLER program. Dr. Yu received Stanford University's Henry J. Kaiser Foundation Excellence in Clinical Teaching Award and the Department of Medicine's Division of Population Health & Primary Care Teaching Award in 2017. She currently serves on the Board of Directors of the California Academy of Family Physicians and was honored as the CAFP Member of the Month in January 2019. Outside of the Bay Area, Dr. Yu also has ties with a local community clinic in Roatan, Honduras, Clinica Esperanza, where she long served as the medical volunteer coordinator. She considers it a privilege to be a part of her patients' lives and hopes to help both her patients and her trainees find a path to better health and happiness. To keep herself in great health, Dr. Yu enjoys yoga, playing the piano, photography, scuba diving, adventure travel (all the more adventurous with her three young children in tow! ), and spending time with her family and friends. Dr. Schechtman is the Associate Program Director of the Stanford Health Care - O’Connor Hospital Family Medicine Residency Program. He has special expertise in travel medicine, having studied Tropical Medicine and Traveler’s Health at the School of Public Health and Tropical Medicine at Tulane University (1996) and has added certification in Clinical Tropical Medicine and Traveler’s Health from the American Society of Tropical Medicine and Hygiene (2000). Dr. Schechtman worked stateside with Project USA in North and South Dakota on American Indian reservations (1997, 1998 respectively) and worked abroad with the Hurricane Mitch Relief Effort in Guatemala (1998) and Médecins sans Frontières (“Doctors Without Borders”) in Uganda and Liberia (2002-2003). During these periods, he treated such medical conditions such as African sleeping sickness, cholera, malnutrition, malaria, and various war injuries. In 2017, Dr. Schechtman spent a year-long clinical sabbatical in the Amazonian jungles of Peru with his family. Dr. Schechtman also has a special interest in medical informatics, which prompted his development of MeisterMed in 2001. Outside of work, he enjoys creating giant bubbles, experimenting with sous-vide cooking, and spending time with friends and family. Dr. Norman just recently finished an illustrious 30 years as the Residency Program Director, and now continues in a full time teaching faculty role. He has experience in all aspects of medical care and is particularly interested in the promotion of healthy lifestyle choices such as exercise and healthy eating. He also loves a good diagnostic challenge! For fun and fitness, Dr. Norman swims many miles every early morning and is an avid rose gardener who always welcomes gardening tips from his patients and residents. Dr. Henehan is the Director of the Stanford Health Care - O’Connor Hospital Sports Medicine Fellowship Program and a teaching faculty of the Stanford Health Care - O’Connor Hospital Family Medicine Residency Program. He is a diplomate of the American Board of Family Medicine (1985) and has a Certificate of Added Qualification (CAQ) in Sports Medicine through the American Board of Family Medicine (1993). Dr. Henehan has special expertise in orthopedic and sports medicine. He is currently a team physician for San Jose State University (various sports) and was a team physician for the San Jose “Earthquakes” professional soccer team for twelve years. Dr. Henehan enjoys running, hiking, skiing, photography, and watercolor painting. Dr. Stevens is a teaching faculty member of the Stanford Health Care - O’Connor Hospital Family Medicine Residency Program. He is a diplomate of the American Board of Family Practice (1984) and American Board of Addiction Medicine (2015). He has added certification in the subspecialty of Headache Medicine (2012) by the United Council for Neurologic Subspecialties. He has special expertise in addiction, headaches, mood disorders, and pain management. His hobbies include live theater, photography and digital manipulation, and building and repairing computers. Dr. Rai is a teaching faculty member of the Stanford Health Care - O’Connor Hospital Family Medicine Residency Program. He practices full-spectrum obstetrics and has primary surgeon Cesarean section privileges at O’Connor Hospital. He is a diplomate of the American Board of Family Practice. Dr. Rai has special expertise in adolescent and procedural medicine and serves as the attending physician for many of the residency procedural clinics. He also has extensive experience in international medicine, having led medical trips in Central America, South America, and Southeast Asia. He is an avid cyclist and when not on the trails, he can be found sharing a cup of warm chai with the residents. Dr. Sun is a teaching faculty member of the Stanford Health Care - O’Connor Hospital Family Medicine Residency Program and has special expertise in the care of the geriatric patient. In her free time, Dr. Sun spends time taking hikes with her dog, gardening with native plants, and traveling. Dr. Fulmer is a teaching faculty member of the Stanford Health Care - O’Connor Hospital Family Medicine Residency Program and Associate Director of the Stanford Health Care - O’Connor Hospital Sports Medicine Fellowship Program. He has a Certificate of Added Qualification (CAQ) in Sports Medicine through the American Board of Family Medicine (2009). Dr. Fulmer has special expertise in orthopedic and sports medicine, and he serves as a team physician for San Jose State University, San Jose City College, and Valley Christian High School (various sports). He has also served as a team physician for the San Jose Sabercats and the San Jose Sharks. Outside of work, he zealously follows the San Francisco Giants and 49ers and enjoys watching sports of all types. He also enjoys outdoor activities such as running, cycling, and hiking. Dr. Harrison is a teaching faculty member of the Stanford Health Care - O’Connor Hospital Family Medicine Residency Program and medical director of the Indian Health Center Family Medicine Center (residency continuity clinic). After practicing at Santa Clara Valley Medical Center, where she helped found its Department of Family Medicine and served as its interim department chair, she returned to O’Connor in 2016. She has special interests in women’s health, prenatal care, care of children, office based procedures, care of whole families, and LGBTQ care. She has a background in public health and enjoys working with patients and communities to improve health at the personal and community-wide levels. In her spare time, she enjoys playing Ultimate Frisbee, hiking, camping, and exploring the outdoors with her family. Dr. Chern is a teaching faculty member of the Stanford Health Care - O’Connor Hospital Family Medicine Residency Program and the Director of Resident Selection. She has special interests in obesity prevention and treatment, and has an added certification by the American Board of Obesity Medicine (2016). She leads the “Healthy Living” group visits in the residency clinic, and also serves as the faculty coordinator for the integrative medicine track through the Arizona Center for Integrative Medicine. She loves organizing resident wellness events, chasing after her twins (who are usually fleeing in opposite directions), and adding to her collection of patterned shoes, cowboy boots, and running kicks. Dr. Sussman grew up in Pennsylvania, studied cognitive science and literature in college at Yale, and completed a master's in cognitive psychology at Harvard. After graduate school she lived in Shanghai for 2 years, and then moved to California for medical school and has been proud to call California home ever since! She completed her residency at the San Jose - O'Connor Family Medicine Residency Program, then went on to complete a fellowship in Addiction Medicine at Stanford. With her expertise in substance use disorder and addiction medicine, she originated both a smoking cessation group and the "COPE" (Chronic Opoid and Pain Education) group for patients. Dr. Sussman also has interests in whole family nutrition, pediatrics, and women’s health including lactation issues. Outside of work, Dr. Sussman enjoys hanging out with her 3 young kids, going to the farmer’s market, biking everywhere she can, and reading widely. Dr. Sazima serves as Senior Behavioral Faculty at the Stanford Health Care - O’Connor Hospital Family Medicine Residency Program, having worked with medical residents in training since 1991. He is board certified in Psychiatry (1993-present) as well as Geriatric Psychiatry (1994-2006). His work with the residents has included lecturing and precepting, as well as helping incorporate stress management techniques such as meditation into clinic programming for patients and into resident training. Recent academic publications and presentations include works on doctor/ “difficult” patient relationships and incorporating meditation training into outpatient clinical practices. In addition to his teaching role, he has practiced general adult psychiatry practice since 1991, providing psychotherapy, psychopharmacology, and stress management training. He also served in a series of clinical leadership and administrative roles, including Medical Director for Outpatient Services and Department Chair at Good Samaritan Hospital in San Jose from 1994-2001. In 2001, he moved his practice to Roseville, CA while continuing in his teaching position in San Jose. Dr. Sazima resides in Granite Bay, CA with his wife, Tracy Brown Sazima, MD (a family physician at Kaiser Permanente, Folsom) and three sons. He volunteers his time as a board member at Capital Public Radio in Sacramento and Snowline Hospice in Diamond Springs, CA. Dr. Sazima has a deep interest but questionable performance skills in jazz; besides piano, his other interests include hiking, writing, cooking, kayaking, and meditation. Dr. Mullins is the Director of Behavioral Science and a teaching faculty member of the Stanford Health Care - O’Connor Hospital Family Medicine Residency Program. She has extensive experience working with indigent mentally ill: she provided medication management services for geriatric clients at Community Solutions in South county for homebound clients and those in a residential facility (1994-1997); worked at Emergency Psychiatric Services at Valley Medical Center, the tertiary county hospital in Santa Clara County, (1994-2000); and provided inpatient psychiatric consultation-liaison services for San Jose Hospital from 2004 until its closure. She has helped to lead recent innovations in the residency Balint group, intern support group, and the Pain Management Service, a multidisciplinary treatment team for patients with chronic pain. In addition to her faculty role with the residency, she currently maintains a private practice in the South Bay where she provides psychotherapy and medication management for children and adults. Personal interests include spending time with her husband and two kids, mindful meditation, knitting, running, swimming, biking, and hiking. Ms. Respicio is a Licensed Clinical Social Worker (LCSW) and co-coordinates the behavioral science curriculum for the Stanford Health Care - O’Connor Hospital Family Medicine Residency Program. She has formal training in Family Therapy, End-of-Life Care, Crisis Intervention, and Domestic Violence. She worked at Eastfield Ming Quong (1984-1993) residential and day treatment program for severely emotionally disregulated youth. She then worked as a Trauma Medical Social Worker at San Jose Hospital (1993-2005), while also serving as adjunct professor and faculty for San Jose University Graduate School of Social Work (1992-2004). Ms. Respicio co-leads Balint group, serves as a faculty in our residency Pain Clinic, co-leads behavioral science workshops for the residents, and provides counseling services for patients in co-practice with residents in the Family Health Center. She maintains a private practice in San Jose, CA. Her outside interests include cooking gourmet meals, baking, knitting, gardening, enjoying jazz festivals, and spending time on the beach.